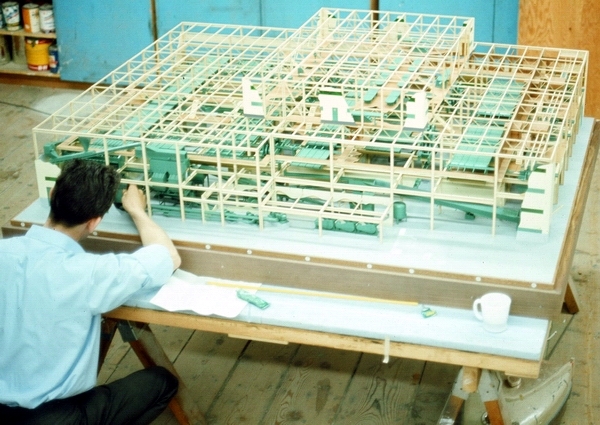 The Sandwell model was another one of Lindsey Models Ltd. sub-contract projects that I thoroughly enjoyed working on. It was also the time I met my future Business Partner, David Laverock. 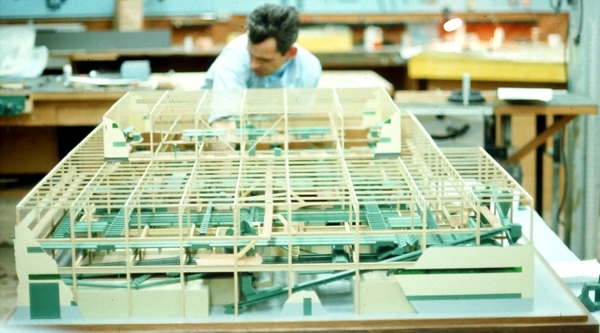 Basically, I was a "Model Engineer", and David was an Structural Engineer, who had worked on projects, like hydroelectric Dams, and post tensioned buildings etc. 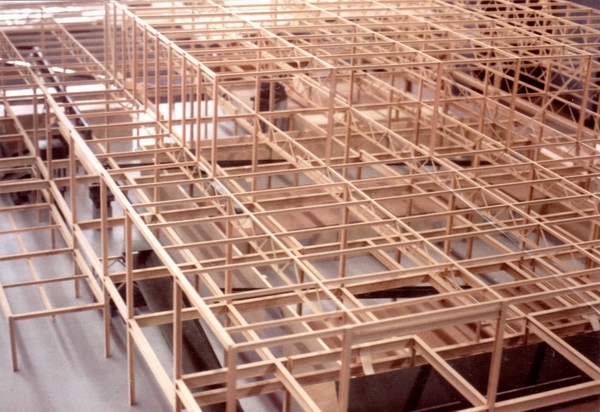 He was hired for his structural steel knowledge, and I was hired to build a model with him. The start of a great relationship in the model business which lasted right up to his retirement. 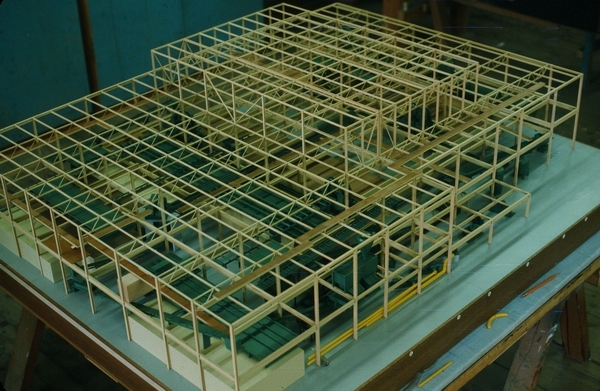 This model's structural steel was built of Basswood, unlike our Alcan model which was plexiglas. I only wish "superglue" would have been available in those days, but this structure was all put together with wood glue and epoxy. 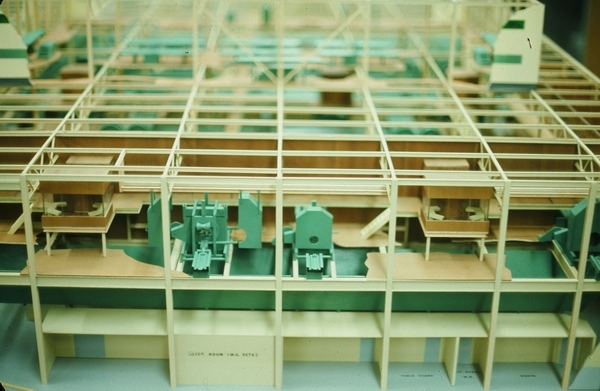 The purpose of this model was to illustrate the flow of material through the new plant. 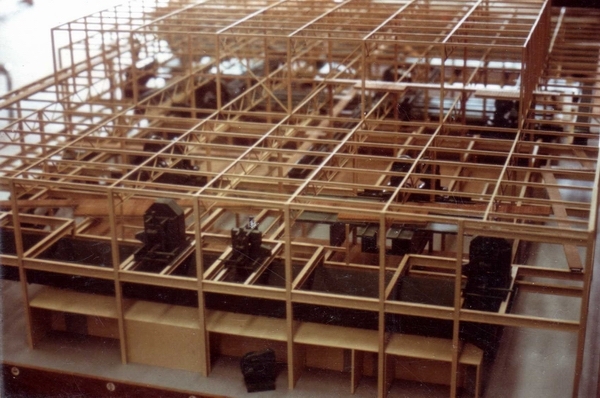 Various control rooms were located, and with the use of a "model scope", one could see in the model, exactly what the controller would see in the finished building. 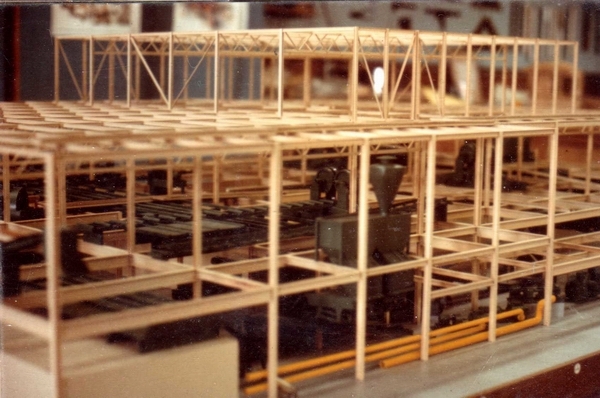 Apart from David and I, we had two or three other Lindsey model builders working with us. 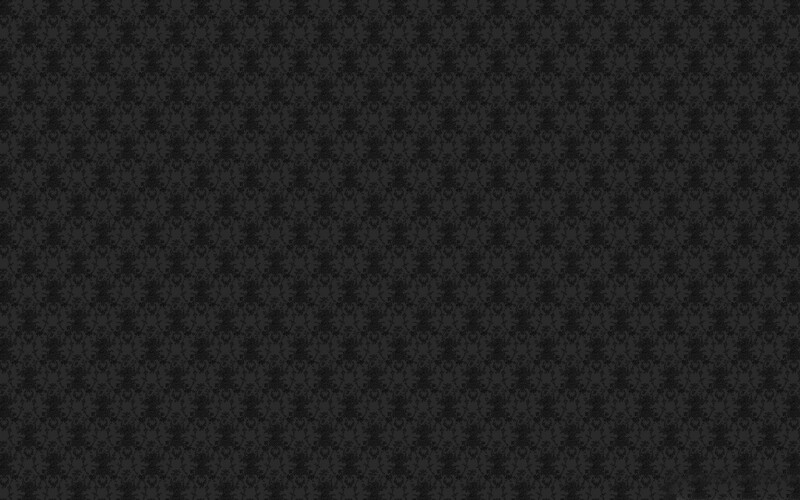 Great model contract ! Model getting very close to the finish. Most of the equipment was in place, and the cut-away wall cladding is installed around the exterior of the building steel structure, showing door and window detail.